The Law Offices of Andrew H. Griffin III, APC. 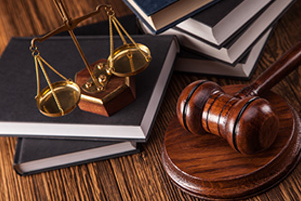 Our law firm is dedicated to helping individuals and business owners in San Diego and throughout Southern California. In addition to our bankruptcy law, we assist parties in real estate (e.g.) landlord and tenant disputes and real property management. Chapter 11 and 13 bankruptcy involves the creation of a proposed arrangement that will allow a party to reorganize and consolidate its debt into a more manageable plan to be paid on a monthly basis. By filing for Chapter 11 and 13 bankruptcy, you are given an opportunity to restructure your finances while keeping your business, home, vehicles and the other assets you find important. At the Law Offices of Andrew H. Griffin III, APC, we understand you want your business to succeed, so we recognize how difficult it can be to watch it struggle financially. 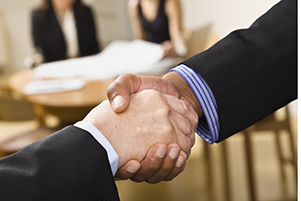 Our firm represents California corporations, sole proprietorships and partnerships. While some individuals use Chapter 11 bankruptcy as an alternative to filing for Chapter 13 bankruptcy, this type of bankruptcy is generally filed by small business owners burdened by overwhelming business debt and allows you to keep you business by reorganizing your business expenses and other associated debt into a manageable monthly payment plan that lasts for a certain period of time. Chapter 11 bankruptcy gives owners an opportunity to reevaluate their businesses, identify productivity issues and continue to operate their businesses while paying back debt through a court-approved reorganization plan. Our firm will work with you and the court when it comes to creating a reorganization plan that will satisfy the debts of your creditors. Restructures debt: Through a Chapter 11 bankruptcy, both consumers and business owners are given the opportunity to create an arrangement (approved by the bankruptcy court and/or creditors) that reorganizes and consolidates debt into a more manageable payment plan. Protects valuable assets and property: The reorganization plan in a Chapter 11 allows you to keep your property and valuable assets while paying on them over the course of your bankruptcy, unlike in Chapter 7 bankruptcy where your assets and property are liquidated to collect money to satisfy your debt. Stops all creditor collection activity: As soon as you file Chapter 11 bankruptcy, an automatic stay will go into effect that will stop all collection activity, including foreclosure, repossession, liens, lawsuits and any other creditor harassment. Offers the opportunity to re-evaluate a business: In a Chapter 11 bankruptcy for small-business owners, individuals are able to keep their businesses in operation while they re-evaluate the profitability of their business and employ new productivity strategies. Minimizes and eliminates debt: Ultimately, Chapter 11 bankruptcy is meant to help individuals and business owners obtain financial stability by restructuring their debt in a way that allows them to pay back a percentage of the original debt through a reorganization plan. At the end of a Chapter 11 bankruptcy, unsecured debt is often forgiven. We are the place to come to close the purchase, sale or management of real property. Our staff is experienced in performing the finishing legal touches of buying a house. They will treat all of your questions with the respect they deserve. We are also experienced in resolving landlord/tenant issues and experience in the eviction process. We have represented clients in their acquisition, sales, refinancing and development of commercial property in California. Whether you are a buyer, a seller or a tenant, we will protect your rights and look out for your best interests in all of your real estate transactions. These include purchase and sale of apartment buildings, office, retail, and industrial space, warehouse and vacant land. An Eviction, also known as an unlawful detainer, is the removal of a tenant from rental property by the landlord. In some jurisdictions, it may also involve the removal of persons from premises that were foreclosed by a mortgagee (often, the prior owners who defaulted on a mortgage). Before a tenant can be evicted, a landlord must win an eviction lawsuit or prevail in another step in the legal process. We are available for all of your evictions needs, including preparing and serving the proper notices, filing and serving your lawsuit, representing you at trial and obtaining your judgment for possession and judgment for money damages. We have the advantage of being both an attorney and a Real Estate Broker licensed by the State of California. Let us save you time and money by navigating the unlawful detainer process for you the right way, the first time. To schedule your free consultation, give our office a call today.